Joshua (/ˈdʒɒʃuə/) or Jehoshua (Hebrew: יְהוֹשֻׁעַ‬ Yehoshuʿa) is the central figure in the Hebrew Bible's Book of Joshua. According to the books of Exodus, Numbers and Joshua, he was Moses' assistant and became the leader of the Israelite tribes after the death of Moses. His name was Hoshea (הוֹשֵׁעַ‬) the son of Nun, of the tribe of Ephraim, but Moses called him Joshua (Numbers 13:16), the name by which he is commonly known. The name is shortened to Yeshua in Nehemiah (Nehemiah 8:17). According to the Bible he was born in Egypt prior to the Exodus. Joshua also holds a position of respect among Muslims. 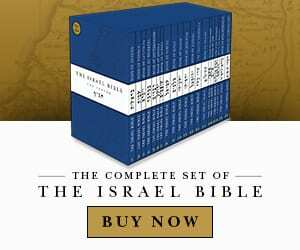 According to Islamic tradition, he was, along with Caleb, one of the two believing spies whom Moses had sent to spy the land of Canaan.Muslims also see Joshua as the leader of the Israelites, following the death of Moses. 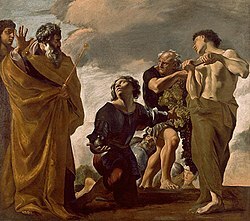 Some Muslims also believe Joshua to be the "attendant" of Moses mentioned in the Quran, before Moses meets Khidr and Joshua plays a significant role in Islamic literature with significant narration in the Hadith, therefore he is a point of study in comparative religion, see Joshua in Islam.